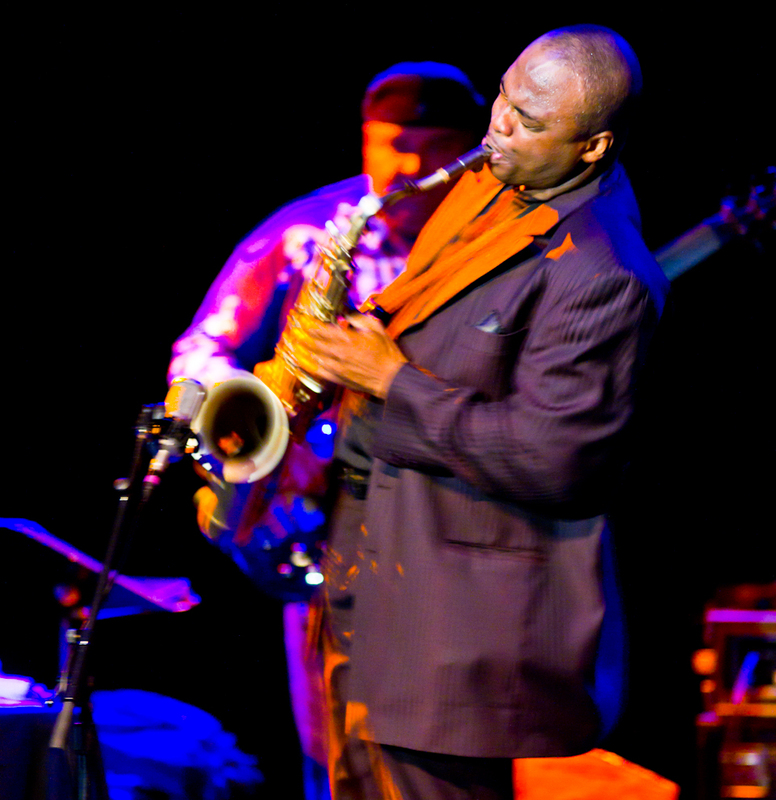 JAMES CARTER swings with his sax in performance Friday night at the Triple Door as he played with his “HEAVEN ON EARTH” band featuring John Medeski on Hammond B3 and Adam Rogers on guitar, bassist Ralphe Armstrong and drummer Lee Pearson. The sold out first show was extraordinary and well received by the standing room only crowd. Wish I could have stayed for the second set. I have a lot of good pictures and will post them at another date. “In 2009 James Carter released a record called Heaven on Earth (Half Note Records). 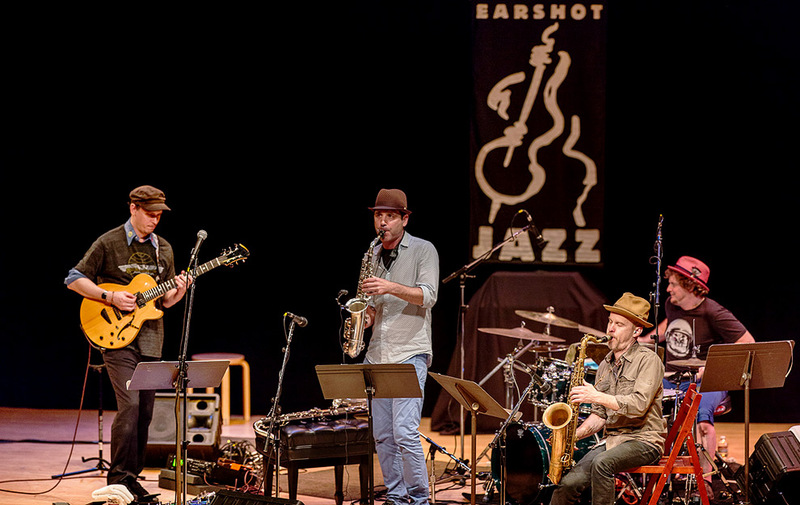 It featured a select group of New York based musicians including organist John Medeski, bassist Christian McBride, guitarist Adam Rogers, and drummer Joey Baron. Like many of Mr. Carter’s recordings, it differed greatly from the work that preceded it. 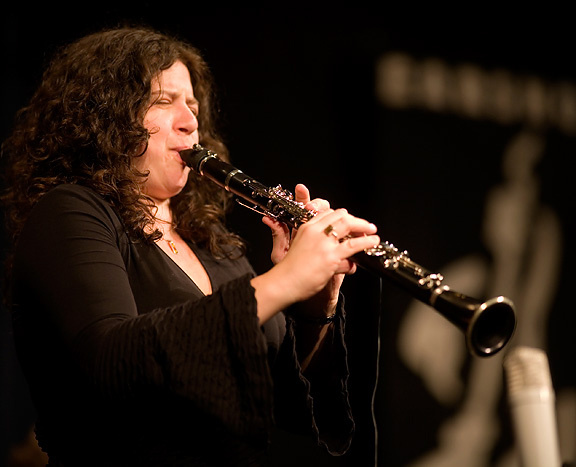 His previous release, Present Tense (Emarcy, 2008) portrayed the saxophonist as a rugged traditionalist more than willing to work within pre-established forms without ego driven pyrotechnics. Ab Baars at the Asian Art Museum Friday night with Amsterdam’s top improvisers in the Ab Baars Trio, playing with Chicago’s MacArthur-winning sax titan Ken Vandermark. 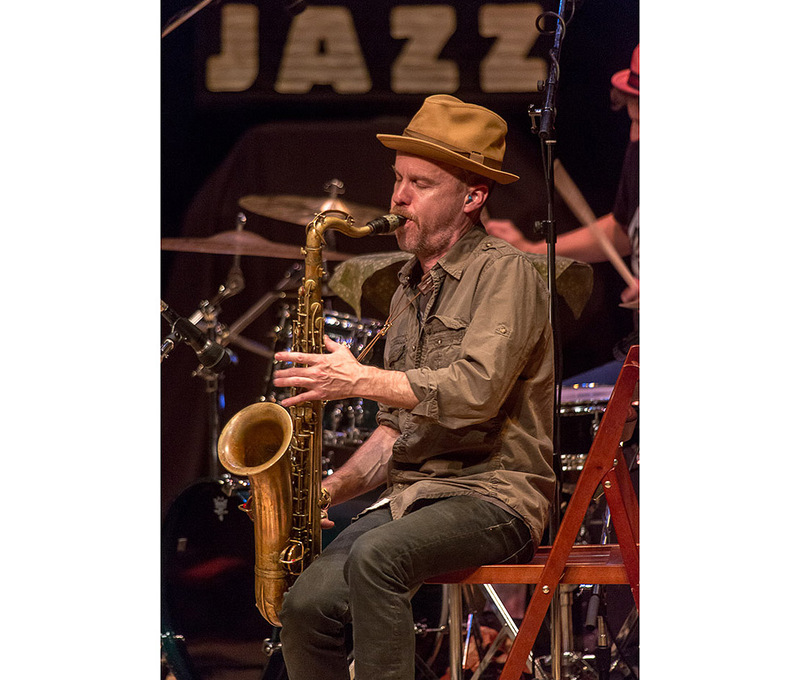 Photograph by Seattle photographer Daniel Sheehan, a photojournalist specializing in jazz photography, photojournalism and portrait photography for publications and corporations. He is also a Seattle wedding photographer with an unobtrusive, story-telling approach creating award winning wedding photojournalism among Seattle wedding photographers.